I started this imaging project at January 2015. 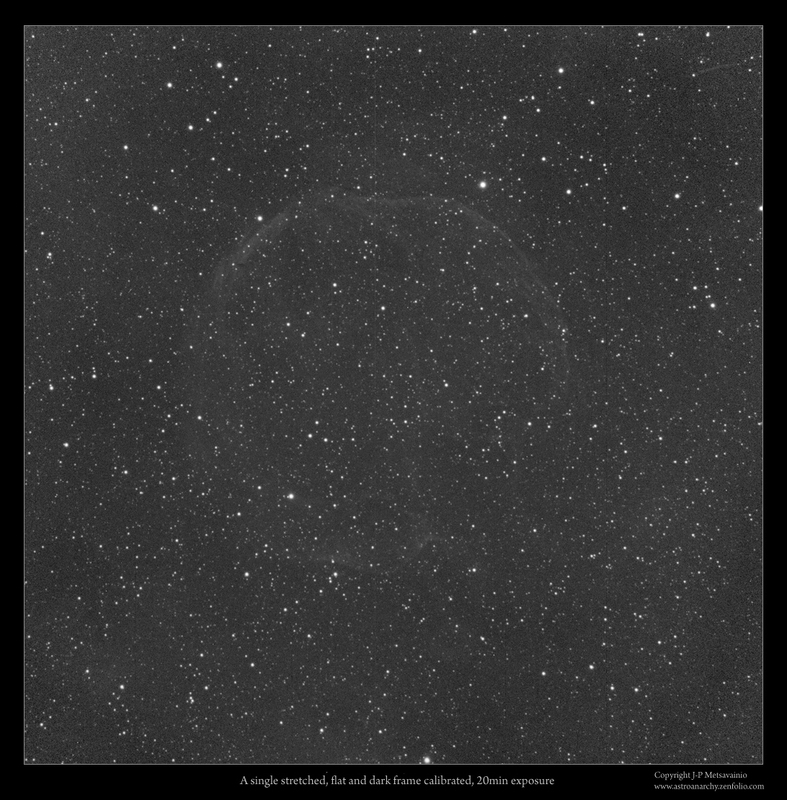 This January 2016 I was able to shoot more exposures for this dim target to finalized my imaging project. It's always a pleasure to have the image ready after a long period of time. As usually, I compared my exposures from different years to see has anything happened up there during the year. Usually there are no difference other than seeing conditions but this time I spotted a suspected variable star in the image field. (NSV 26187) There is an animated image in this post to show the difference between the years 2015 and 2016. SNR G116.9+00.1 in constellation Cassiopeia, click for a large image. Abell 85 is a very faint supernova remnant in constellation Cassiopeia. It's difficult to image with any details due to extremely low surface brightness. Abell 85 has a largish diameter, about half a degree, it has a same apparent diameter as a full Moon. The physical diameter is about 98 light years across. This SNR locates about 9800 light years from the Earth. CTB1 was originally thought to be a planetary nebula and it was included the Abell catalog of planetary nebulae under a name Abell 85. 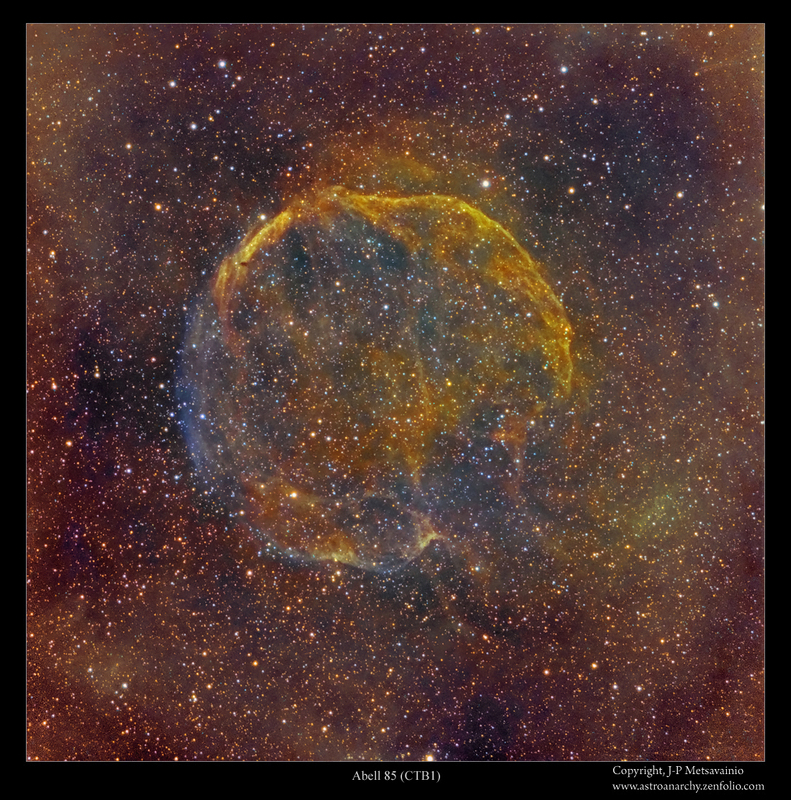 It was confirmed to be a supernova remnant by Willis & Dickel at 1971. An animated image showing a suspected variable star, NSV 26187, brightness variation between the years 2015 and 2016.